JEDDAH, 22 September — The family of Hani Hasan Hanjour, a suspect in the Sept. 11 attack on the Pentagon in Washington, have started accepting messages of condolence in the belief that their son may have died in the airplane that crashed into the Pentagon. Hanjour’s family has denied his involvement in the operation. “We don’t know what happened to our son on the plane. He had contacted us eight hours before the incident to inquire about our health. He was very normal,” the family told the Saudi daily Al-Watan. According to previous reports, Hanjour was working as a pilot for Emirates Airlines in the United Arab Emirates. The family said its contacts with their son had ceased after his departure for the UAE. A picture of Hanjour handed out by the FBI — taken by a surveillance camera — was published in local newspapers here. In that picture, Hanjour stands with Majed Moqaid, another suspect, at the ATM of a bank. The photo of Ahmad Abdullah Al-Nami, another suspect, published in Al-Watan was identical to the one provided by the FBI. Al-Nami is accused of hijacking United Airlines Flight 93 which crashed in Stony Creek, Pa. Al-Nami has been missing since December and his family did not know his whereabouts. According to Al-Watan, Al-Nami became very religious about two-and a-half-years ago. He was imam of the mosque in his district in the southern city of Abha. Abdul Rahman Al-Haznawi, brother of another suspect, Ahmad Ibrahim Al-Haznawi, said the picture published on Thursday by some local newspapers did not resemble his brother. “There is no similarity between the photo published and my brother,” he told Al-Madinah newspaper. He said he does not believe his brother was involved in the attacks. “He never had any such intention,” he stated categorically. Arab News had pointed out the similarity of the Al-Haznawi pictures after his friend confirmed that the two were identical. However, in the light of Al-Madinah report the FBI should check Al-Haznawi’s file to make sure he had in fact taken part in the attacks. Al-Haznawi’s family said their son had left them in ambiguous circumstances about a year ago. With regard to Salim and Nawaf Al-Hazmi, accused of taking part in the hijacking of American Airlines Flight 77 that hit the Pentagon, their father told a press conference that he was not sure whether the photos published were of his sons. Salim and Nawaf had left the Kingdom to take part in Jihad in Chechnya several years ago. Muhammad Salim Al-Hazmi, the father, told Al-Watan that the published pictures of his sons were not clear. He said he was ready to provide information about his sons to the Saudi authorities. Al-Hazmi has a supermarket and a building in Makkah’s Nawariya district. More information is now available about Muhannad Al-Shahri, who is accused of hijacking United Airlines Flight 175 which smashed into the World Trade Center. The FBI gave his name as Mohald Alshehri. His family told Al-Watan that he had gone to Chechnya to fight in the Jihad there more than a year ago. There was no information about him. He only contacted his mother during last Eid Al-Adha festival, when he told her that he was in Chechnya. His family believes that Muhannad was one of the victims of the operation, but was not among the hijackers. Muhannad’s teacher told the Arabic daily that he was a regular student with a quiet nature. He studied at the Imam Muhammad Ibn Saud Islamic University’s branch in Abha only for one semester. He later moved to Riyadh. He was 24 years old and had six brothers. The father of Hamza Al-Ghamdi, who is accused of hijacking the plane that hit the Pentagon, told Al-Watan that the picture provided by the FBI was not that of his son. “It has no resemblance to him at all,” he added. Arab News has obtained a new picture of Hamza. In a related development, Saudi Arabian Airlines called back Capt. Saeed Al-Ghamdi, who was in Tunisia for training, to Jeddah on Wednesday to protect him from investigations. Arab News has learned that Ghamdi had discussed with Saudia’s leadership whether to take legal action against the American media for defamation. The CNN carried Ghamdi’s picture on Monday, saying he was among the suspects who hijacked the plane that crashed in Pennsylvania. 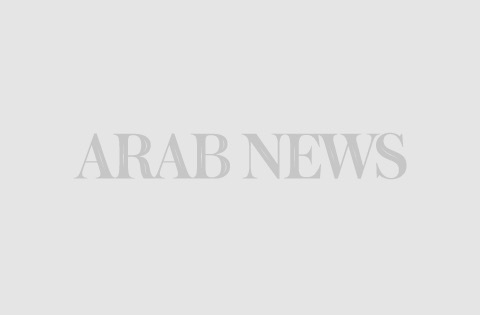 A family member of Majed Mishaan Al-Harbi, 22, another suspect, told Arab News that Majed was studying at King Saud University in Riyadh at the Faculty of Administration and Economics. He said he was a peace-loving person and did not behave strangely in any way. The family member, who requested anonymity, said that he met Majed a year ago in Riyadh. “At that time, he told me he was going to Qatar to meet his friends. He had a plan to visit the United States to learn English,” he said, and added that the picture of Majed carried by the media did not bear a clear resemblance. He believed that it was not the picture of Majed. Sources close to the family said Majed loved sports and travel. He was a social and affectionate person. They did not believe he had participated in the attacks. According to the US Department of Justice, Majed is a suspect in the attack against the Pentagon.